Brighton is not just a lovely seaside town, mostly known for being overcrowded in Summer by Londoners in search for a bit of escapism, but also the home of a thriving community of designers, makers and entrepreneurs. Some of these people run dConstruct, a gathering where creative minds of all sorts converge every year to discuss important themes around digital innovation and culture. 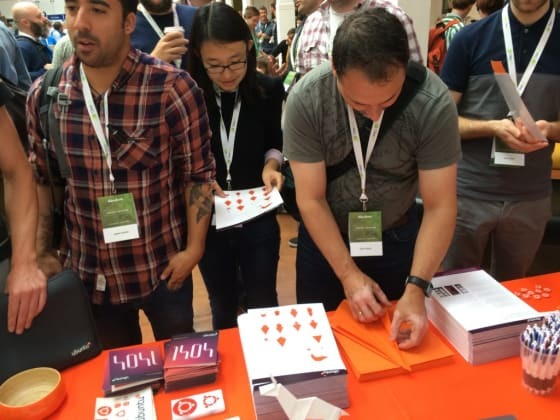 When I found out that we were sponsoring the conference this year, I promptly jumped in to help my colleagues in the Phone, Web and Juju design teams. 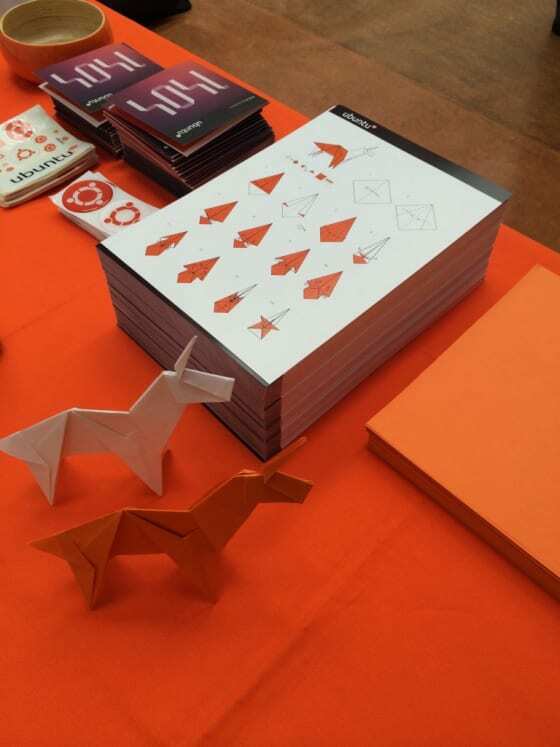 Our stand was situated in the foyer of the Brighton Dome, flashing the orange banner of Ubuntu and a number of origami unicorns. 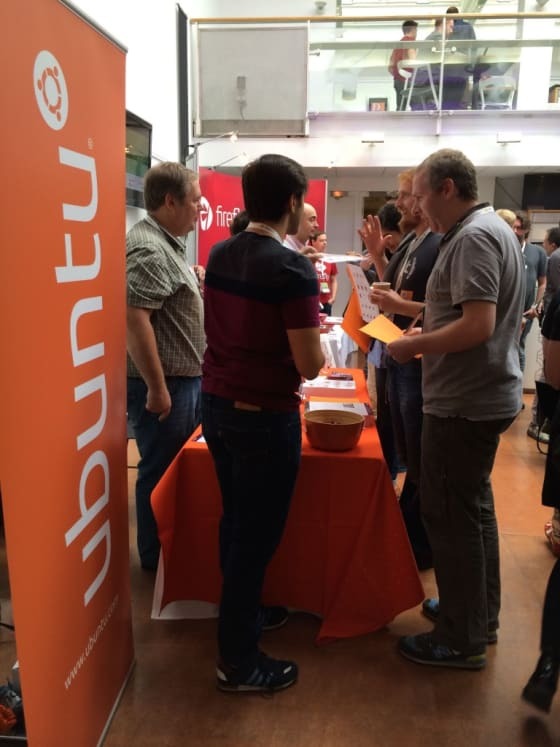 We had an incredibly positive response from the attendees, as our stand was literally teeming with Ubuntu enthusiasts who were really keen to check our progress with the phone. 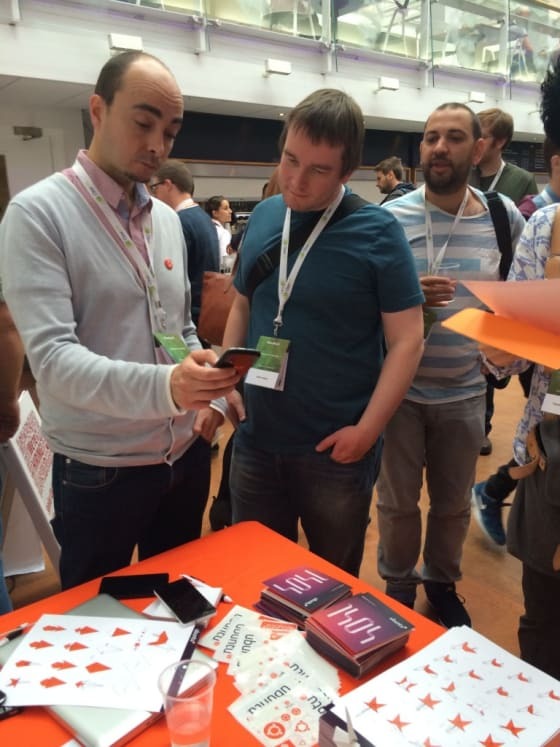 We had a few BQ phones on display where we showed the new features and designs. Our ‘Make your Unicorn’ competition had a fantastic response. To celebrate the coming release of Utopic Unicorn and of the BQ phone, the maker of the best origami unicorn being awarded a new phone. The crowd did not hesitate to tackle the complex paper-bending challenge and came up with a bunch of creative outcomes. We were very impressed to see how many people managed to complete the instructions, as I didn’t manage to go beyond step 15..